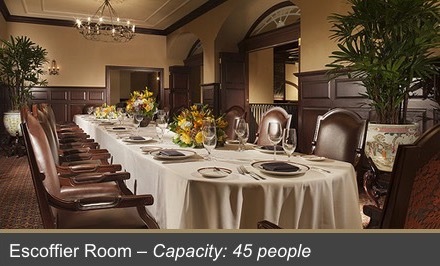 During the restaurant’s 2004 renovation, the former Escoffier Room was converted to an exclusive, upper level dining room to serve up to 45 people. The dining space overlooks the Rib Room through wrought iron railings framed by massive wood archways. The True Jewels Of The Rib Room Are Tucked Away Underground! 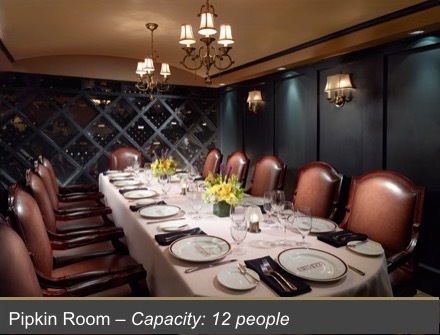 The three intimate private dining rooms each have a unique history. 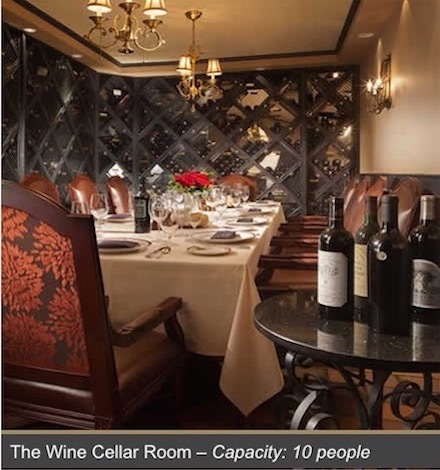 The Wine Cellar, a secluded space that seats 10, has walls which are lined with bins filled with the personal collections of long-time patrons who choose to store their wines on-site. This tradition began soon after the restaurant opened in 1960. Today, some old vintages have remained untouched by their owners for years. The Pipkin Room, named for an earthenware cooking pot, is a slightly larger dining space for up to 12 with the warm look of barge-board walls. 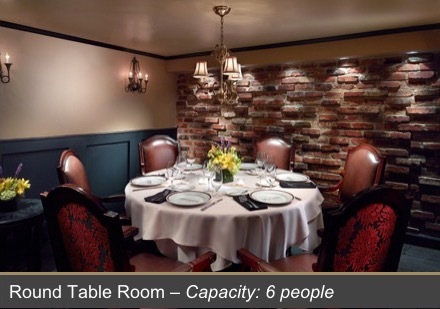 The last of these clandestine areas is the Round Table Room, within which is a six person table set against the backdrop of a traditional French Quarter bricked wall. It is the most intimate of these secretive dining spaces. Over the years, these hideaways of the Rib Room have been host to many important political and business meetings. In the mid 1960s, legend has it that local entrepreneurs first conceived the Jazz and Heritage Festival and laid the groundwork for the development of the Louisiana Superdome. Each room continues to serve as the perfect setting for small gatherings, business meetings, bridal luncheons and rehearsal dinners, discreetly removed from the main dining floor. Click HERE for a PDF version of our Private Dining menu. Please contact Nicole Shelton at 504-558-3561 or email nicole.shelton@omnihotels.com to discuss your private dining requirements. You may also fill out an online inquiry form here. An unparalled location gracing the French Quarter’s most fashionable corner, where St. Louis meets Royal Street, the Omni Royal Orleans upholds a 150-year legacy as the center of the New Orleans social scene. From its days as the St. Louis Hotel, the Omni Royal Orleans has played host to countless New Orleans weddings and other high-profile gatherings. A team of wedding professionals will create for you everything from a jazzy, pre-wedding bridesmaid’s brunch to a rousing rehearsal dinner. Brides can be confident that New Orleans’ most experienced catering team has done it all and can handle each and every detail of planning. 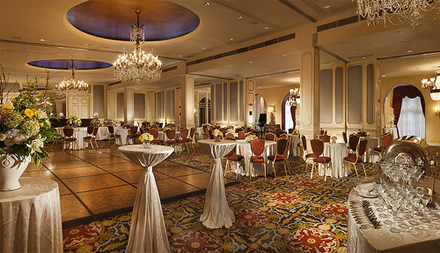 For more information visit The Omni Royal Orleans website.